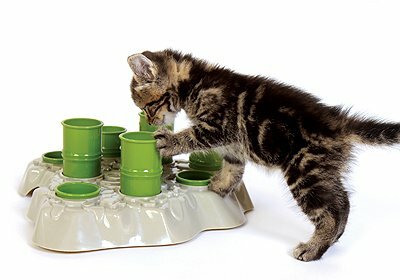 This cute cat feeder is perfect for the sluggish cat, or one that likes to be entertained ! Helps prevent weights problems and entertains the animal during his meal. A purrfect gift for the cat owner!